This age-old idiom, or a variation of it, was supposedly first used back in 1911 by editor Tess Flanders. Later on, the phrase "One Look Is Worth A Thousand Words” was used in a newspaper advertisement for the Piqua Auto Supply House and again by Fred R. Barnard for a Printers Ink ad campaign. While its history is dubious, the fact is that the saying has never before rung so true. In this day, where Facebook, Snapchat, and Instagram have all monopolized on documenting life through imagery, the art of photography has become one of the most crucial methods of sharing knowledge and experiences. 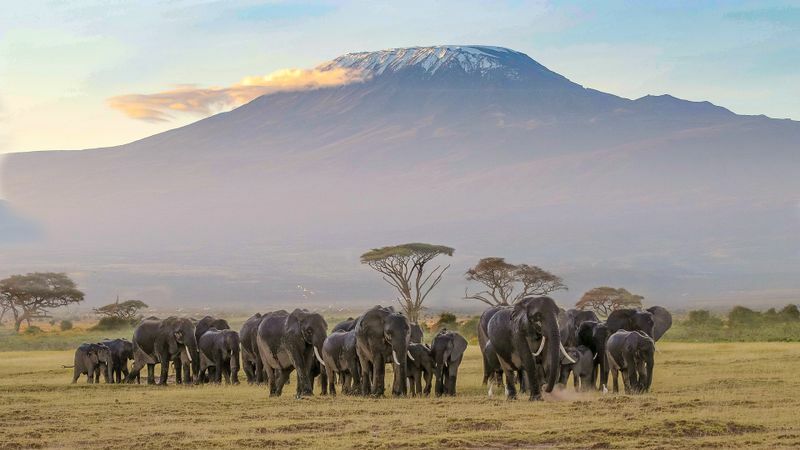 So, if going on a wildlife conservation safari has yet to be ticked off your bucket-list, sit back and travel the world through the images of 2018’s Wildlife Photographer of the Year winners. Forget about saving the best for last. This melancholy portrait of two golden snub-nosed monkeys has won the 2018 Wildlife Photographer of the Year competition. 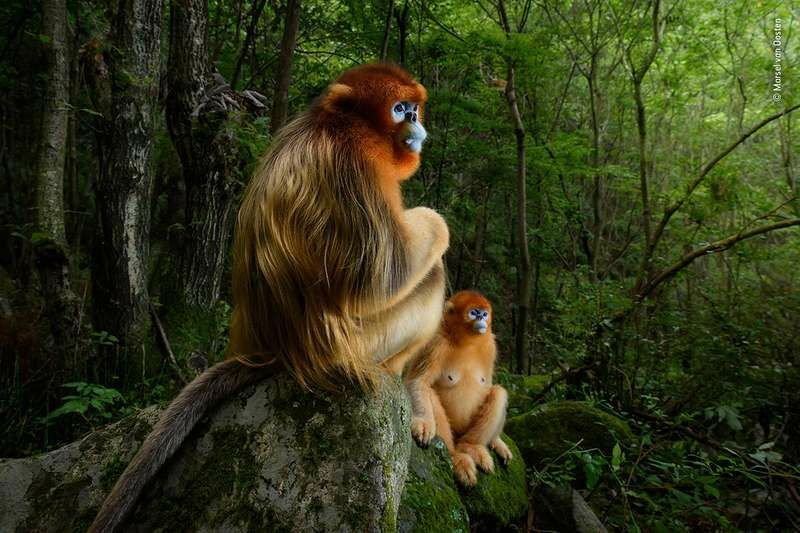 Photographer Marsel van Oosten captured this pair of endangered primates while trekking through the temperate forest of China’s Qinling mountains, the only place this species lives. 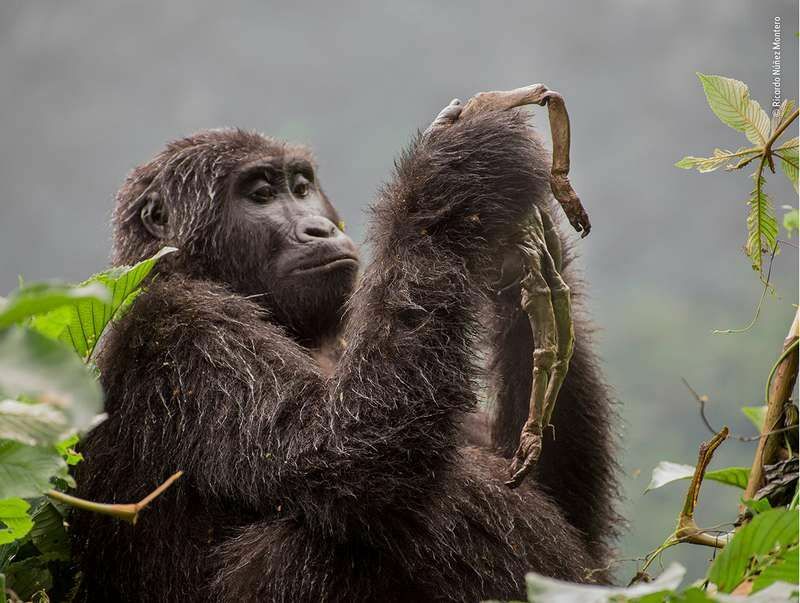 While the sad tale of Uganda’s mountain gorillas is told far and wide, this beautiful photograph shares the story of this lesser-known (and equally adorable primate) that faces habitat loss from commercial logging and firewood collection. 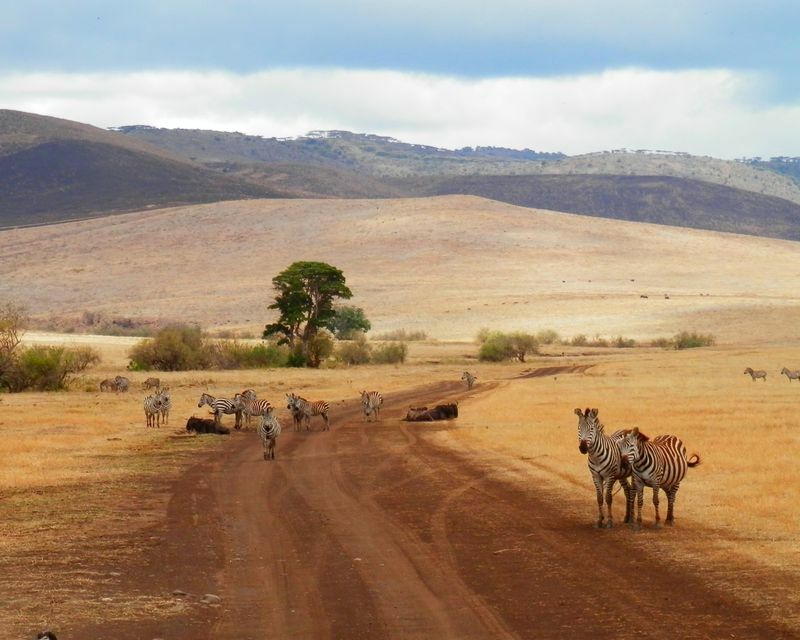 At just 17 years-old, Skye Meaker walks away with the grand prize for young photographers. 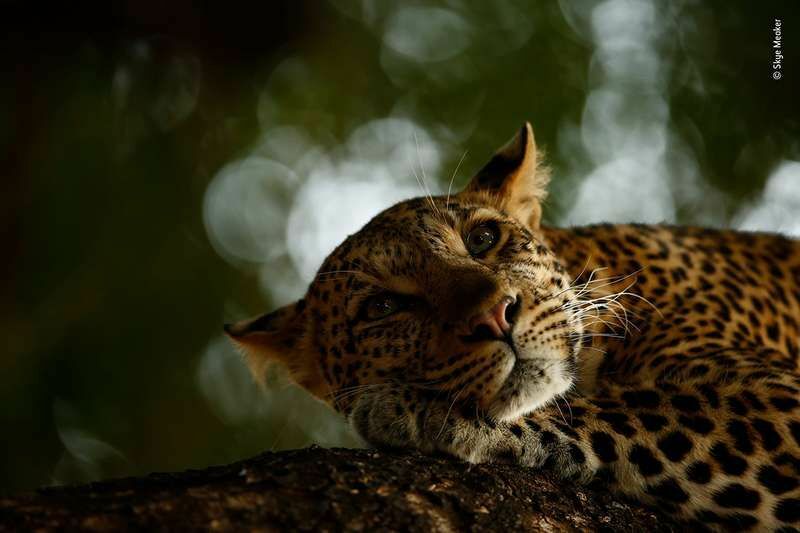 This stunning portrait of the elusive leopard was captured in a low-lying branch of a nyala tree in Botswana’s Mashatu Game Reserve. 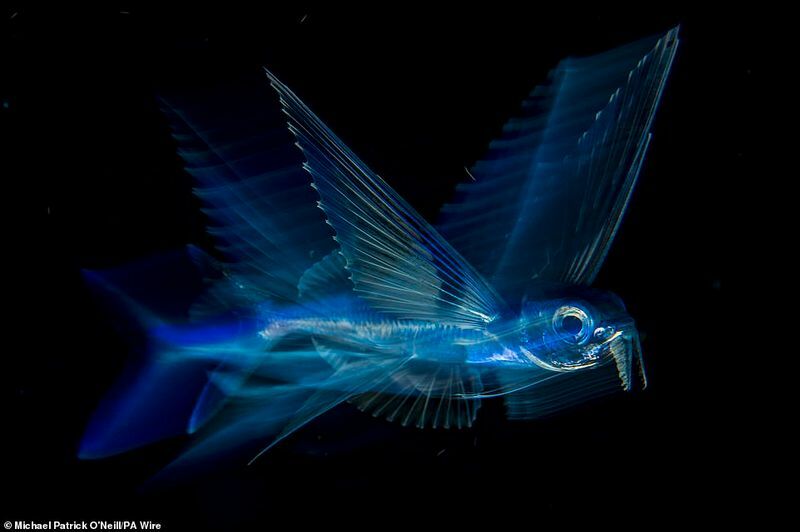 This unearthly photograph of a flying fish was captured during a night dive off Florida’s Palm Beach. If photography is a test in patience then photographer Michael Patrick O’Neill is the master. To put it into perspective, these magical creatures can travel up to 70 km/h (43mph), spend about 45 seconds in flight and cover distances up to 400 m (1,300 ft). Add to these challenges the fact that this particular subject is only about 13 cm (5 inches) long and was shot in the pitch black. 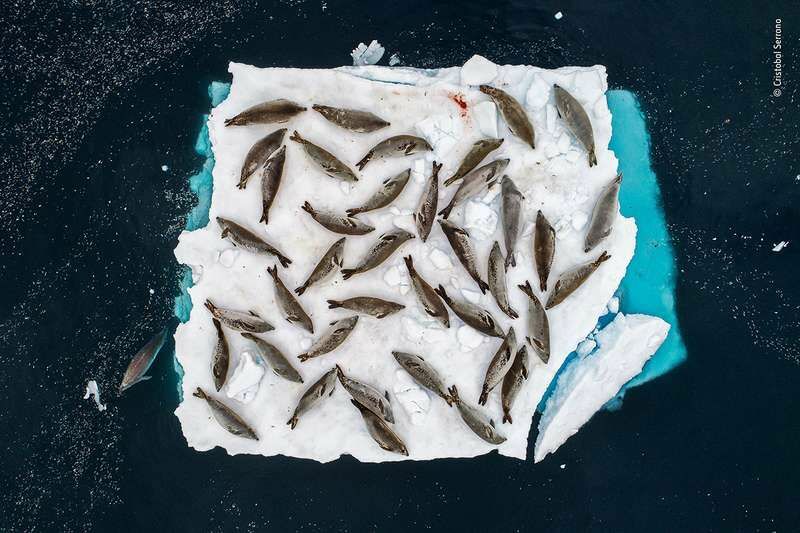 In the Wildlife Photographer of the Year awards “Environment” category, Cristobel Serrano walks away with the prize for this tragic photograph of crabeater seals sharing space on a small piece of ice in the Errera Channel. At just 11 years-old, Arshdeep Singh is already an acclaimed wildlife photographer. 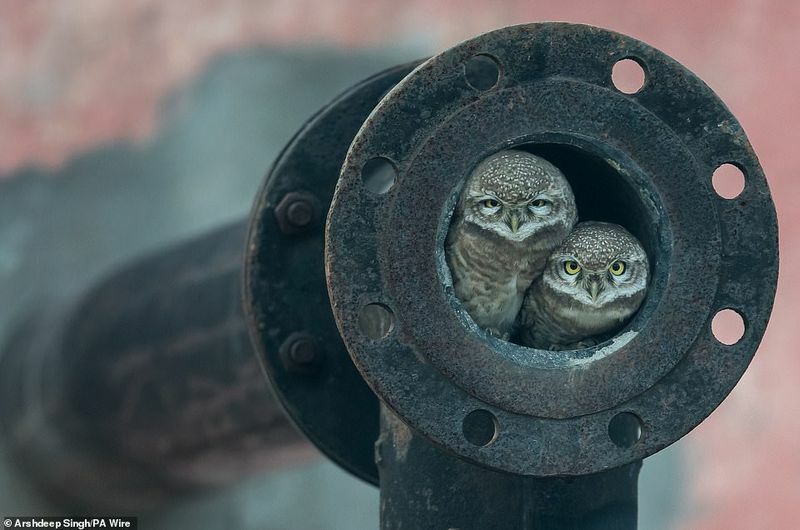 This quirky snap of two adorable (albeit grumpy) owls hiding in the opening of a pipe just outside the city of Kapurthala in Punjab is just the thing to brighten up your day! Films such as Downsizing and Ant-Man do a pretty good job at portraying life in miniature, but this incredible photograph by Georgina Steyler is the real deal. After all, it did earn her the prize for the best invertebrate photo. 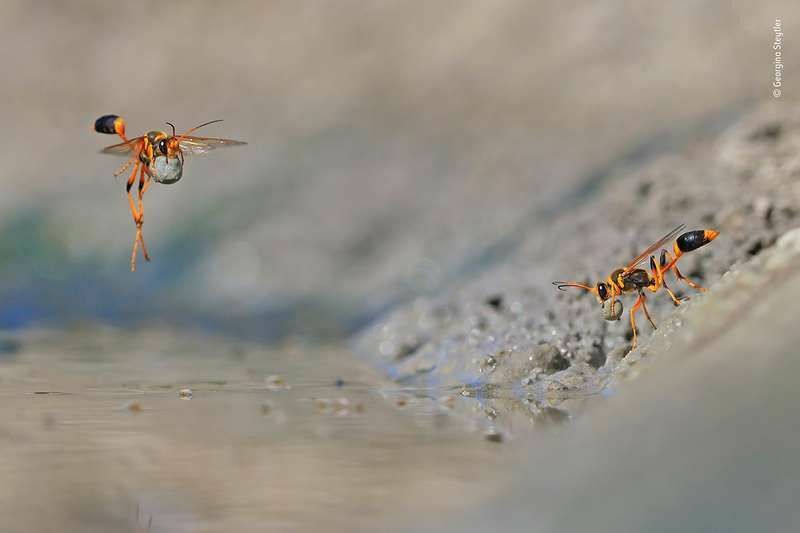 Captured are two mud-dauber wasps using mud to add egg chambers to their nests in Walyormouring Nature Reserve, Western Australia. In the mammal behavior category, Ricardo Núñez Montero walks away with the prize for his heartbreaking photograph of a young female mountain gorilla holding the tiny corpse of her baby. Believed to have been born during bad weather in Uganda’s Bwindi Impenetrable Forest, the baby gorilla likely died of cold. 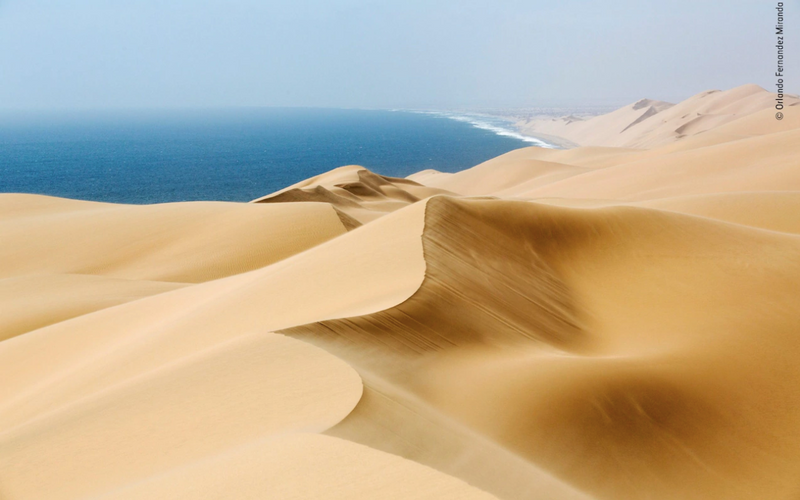 At first, I had no idea what I was looking at when I saw this mesmerizing photograph by photographer Jan van Der Greef. After a while, longer than I’d like to admit, I finally saw it! 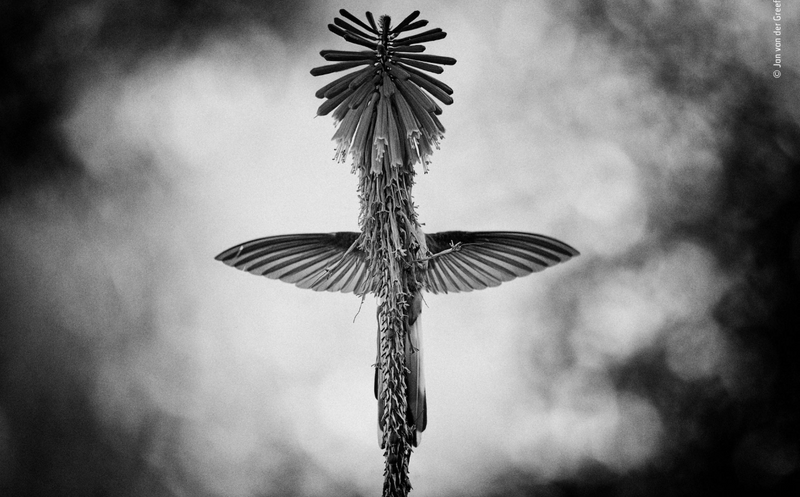 “The Vision” portrait shows a perfectly balanced hummingbird gathering nectar from a red-hot-poker plant. The strange thing is, this specific species of bird is found only in Peru while the plant is native to Africa. Fun fact: It took 2 days to get this shot which was taken at 14 FPS. 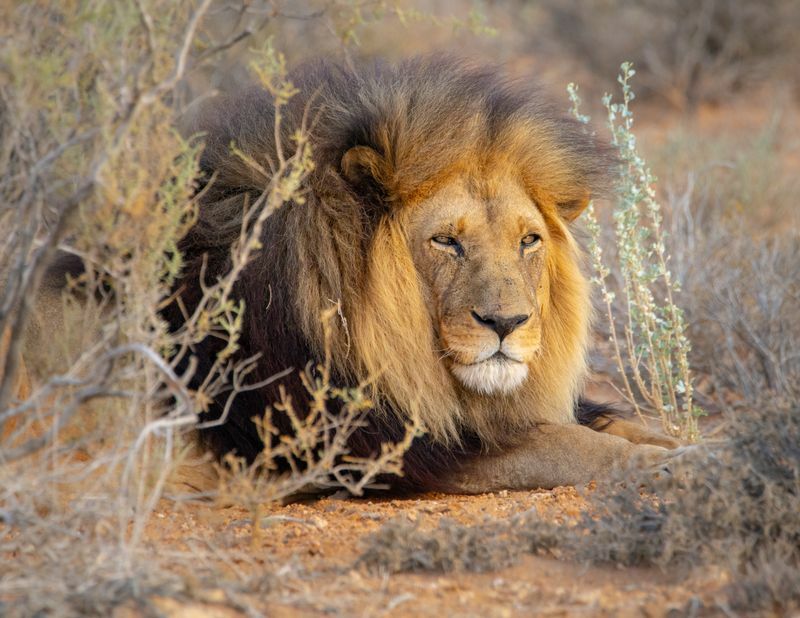 If you’ve been dreaming about going on a safari in Namibia, then this stunning photograph by Orlando Fernandez Miranda is just a taste of the beauty you’ll see. While the still image looks serene, Orlando had to face fierce northeasterly winds, the baking afternoon sunshine, and dense ocean fog just to capture this surreal landscape of desert meeting ocean. Sometimes wildlife photography is sad, sometimes it’s beautiful and other times it is just scary. 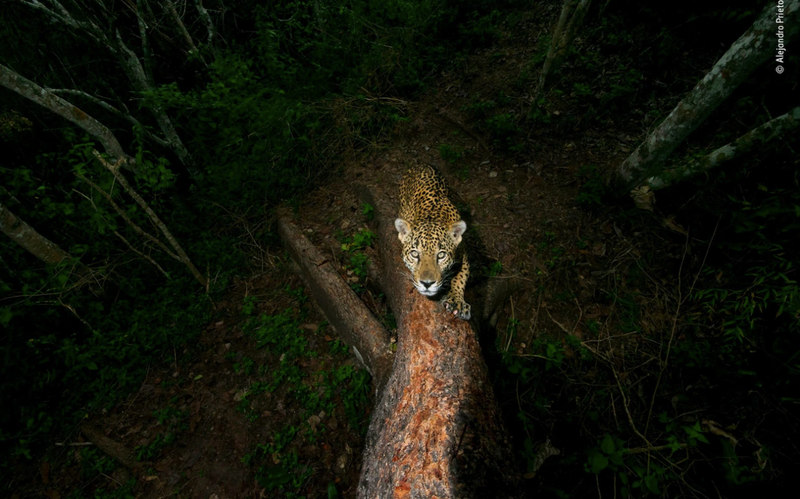 This amazing photograph by Alejandro Prieto shows a male jaguar sharpening its claws on a tree in the mountainous region of Nayarit, Mexico. Alejandro set up his camera just 6 meters up the tree and waited eight months before the jaguar eventually returned to remark his territory. 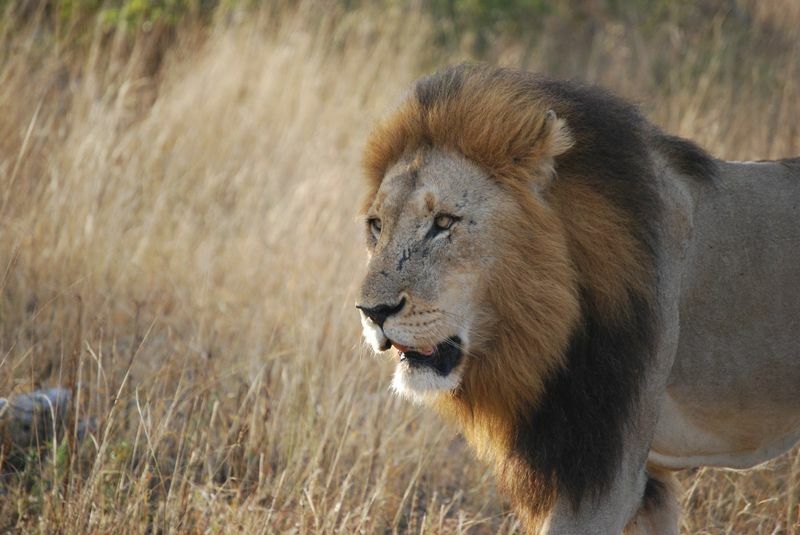 Feeling inspired to capture the wild for yourself? 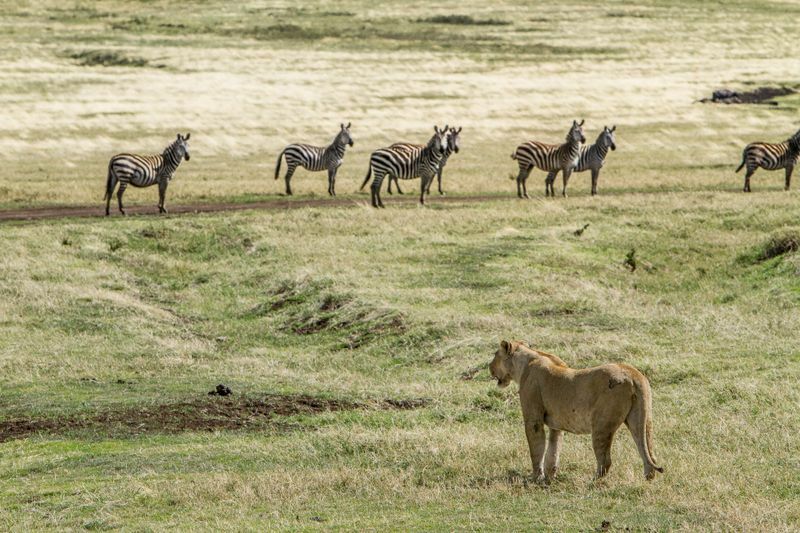 Go on a photography safari and let others see the world through your adventures! Jodi is a Writer for Bookallsafaris.com, an adventure enthusiast, and a Douglas Adams groupie. 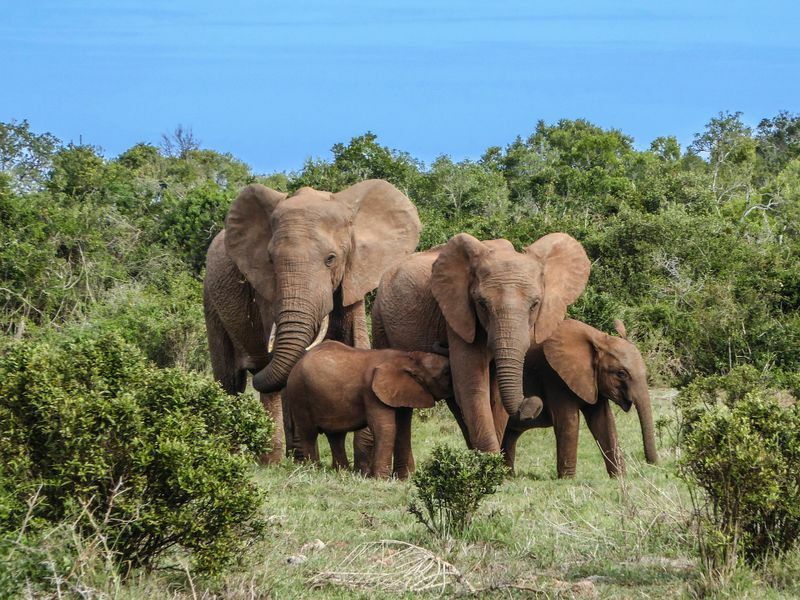 She lives in South Africa and has a passion for surfing, ocean conservation, and trawling pre-loved bookstores for a leather-bound volume of The Ultimate Hitchhiker’s Guide To The Galaxy. 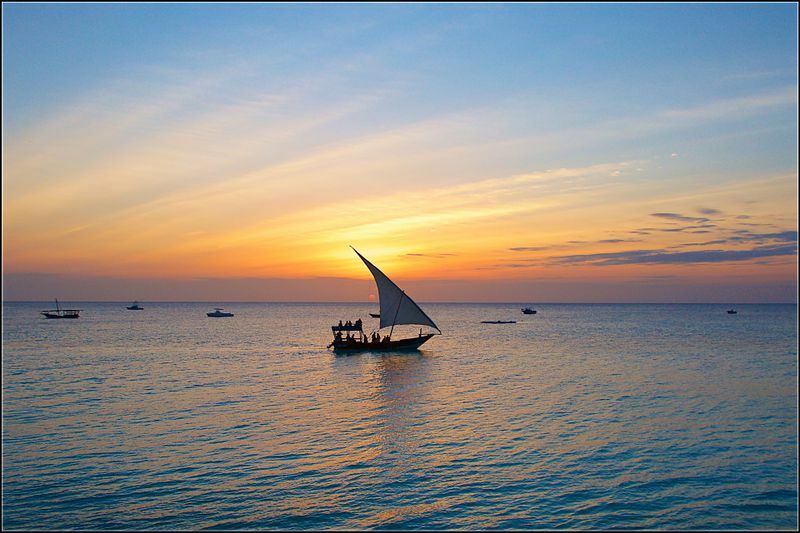 We have the best deals and offers from 795 organizers all over the world! Get them into your mailbox every week!